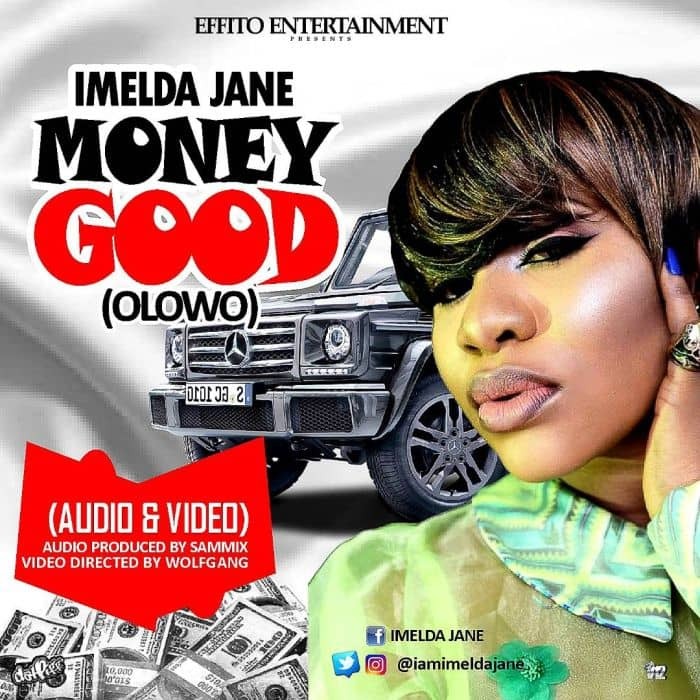 [Download Music and Video] Imelda Jane – Money Good (Olowo), Imelda Ada Okwori popularly known as Imelda Jane is an Award Winning Naija Pop Sound Musician. Imelda Jane who released a song titled ‘Owoyato’ featuring #Small-Doctor last year is back with this lovely song titled ‘Money Good (Olowo)‘ and colorful #video starring Nollywood and Instagram Super Star Charles Okocha. The #song was produced by Sammix and the beautiful Video was Directed by WolfGang. Though it is a dance able song yet comes with a very strong message as she is tasking all those that cares to listen to double their hustle and make good money.